In other words, the actual rollout of the rovers is several months away, at least, and in light of a recent event at the University of California-Berkeley, perhaps even further. 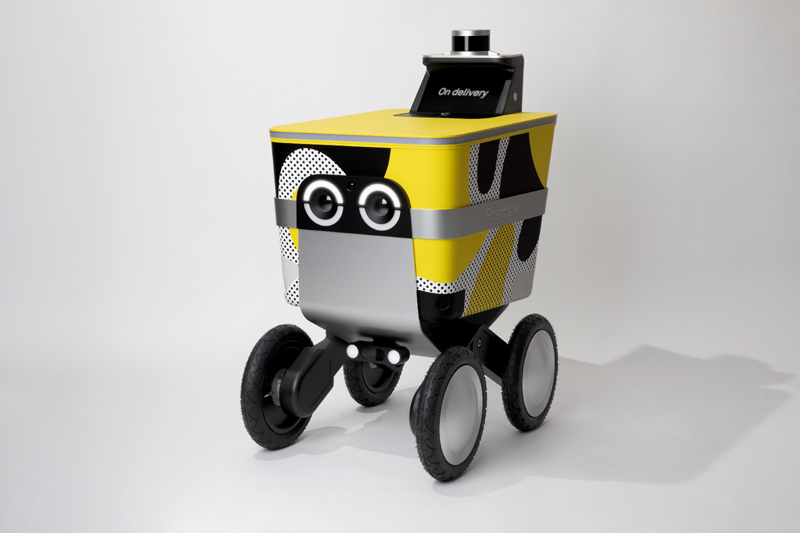 Just one day after Postmates’ announcement, a KiwiBot, one of about 100 autonomous robots that’s been delivering food around the UC-Berkeley campus since 2017, caught fire and had to be extinguished by a passer-by. The December 14 incident prompted a candlelight vigil and made for entertaining social media fodder while Kiwi, a startup housed at Berkeley’s SkyDeck incubator, named a defective battery as the culprit. The company pulled its robots off the streets for a time before announcing new custom software that will monitor each battery. Back at Postmates, the company said in an announcement that it spent the last couple of years analyzing millions of deliveries, researching interactions and conducting thousands of deliveries to inform the development of Serve. “We realized we are in a unique position to create an autonomous delivery vehicle with socially aware navigation that understands how to navigate cities while meeting specific customer needs,” said Bastian Lehmann, Postmates’ co-founder and CEO. “We took a design-first approach with Serve that walks alongside people and fits into our communities. We were able to use data to model how food and goods could move around cities even more efficiently when rovers join our existing fleet” of more than 350,000 Postmates drivers. Postmates didn’t say, however, if Serve would indeed be a free or low-cost delivery option for consumers. Each electric Serve robot is capable of carrying up to 50 pounds and can travel 30 miles on a single charge. It has sensors for navigation and a touchscreen and cameras for customer interaction. To communicate, Serve has lighting in the eyes and a light ring on top to signal movement. “We have developed a specific rover-human interface so that people understand what rovers are doing at any moment,” he said.